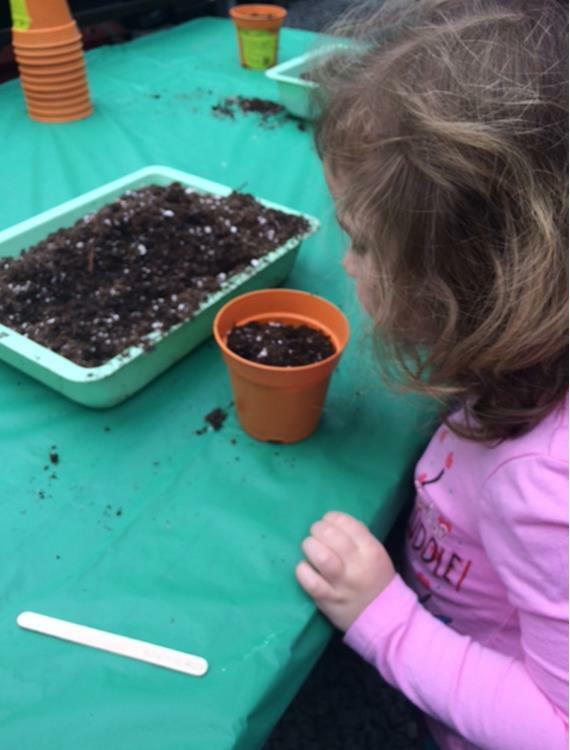 Gardening is a great way for kids to learn science. Planting a theme garden can make the learning experience even more fun. One great theme idea is choosing vegetables, herbs, or flowers that start with the letters that spell the children’s names or friend’s name garden. You can try making a herb/scent garden, root plant garden, pizza garden, or Peter Rabbit’s garden (see ideas below). 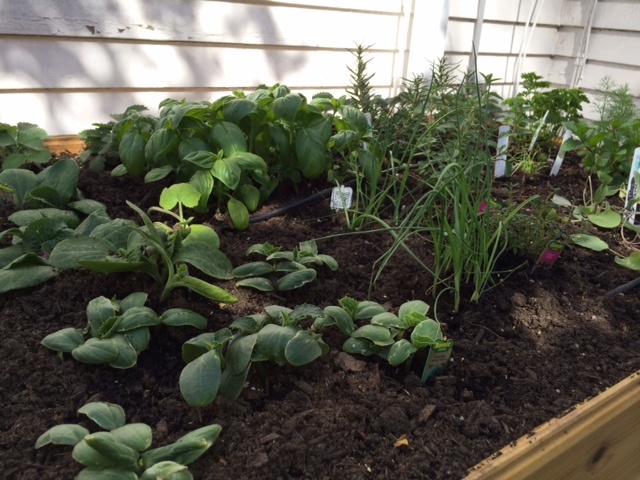 My charges and I simply chose to make a hardy vegetable and herb garden. We chose hardy plants that grow quickly in our area to ensure great results. Some of the most reliable vegetables and flowers are bush beans, cherry tomatoes, herbs, marigolds, radishes, zinnias, and zucchini. Look through seed catalogs with kids to choose what they would like to plant. If you work in an urban area and don’t have room for a full garden, try doing a smaller version of this activity using pots or a window box. 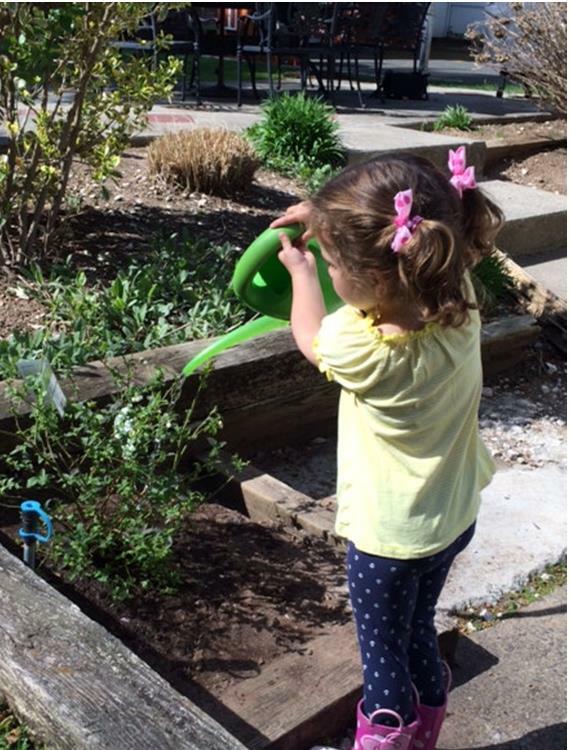 To start the garden I first let the kids scoop soil into the little pots, add the seeds, then cover them gently with soil (not too packed tight or the seeds won’t grow), and water the plants. Then, we made a tag for each plant on a Popsicle stick to help us remember which pot holds which seeds. 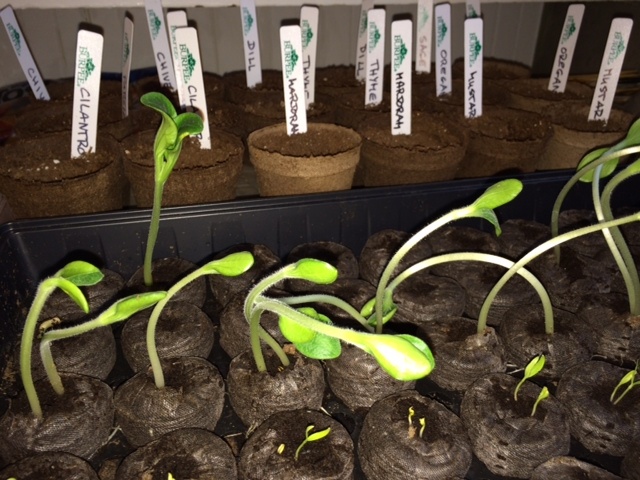 We let the plants grow inside in a sunny spot for a few weeks until the sprouted before planting them outside. I had the children help plant the sprouted plants outside and I allow them to water their plants daily. We are keeping a journal to record which plants sprouted first, bloomed first, and provided vegetables first. 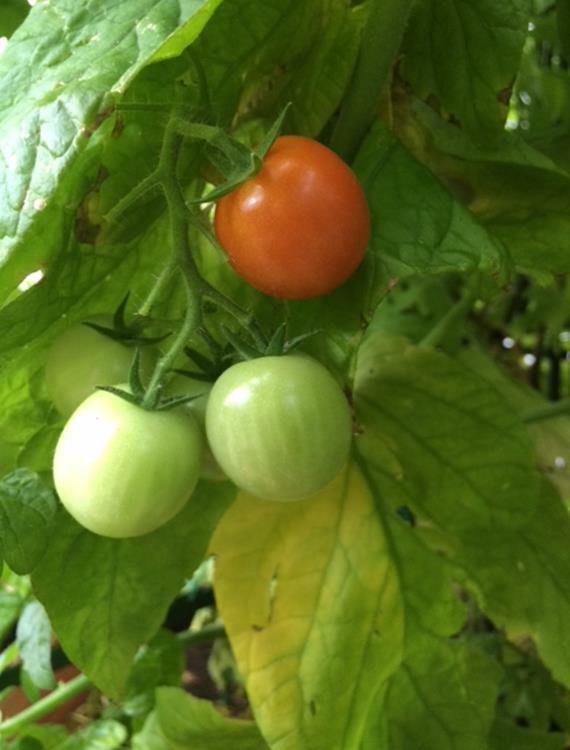 The best part of growing a garden is letting the kids harvest their herbs and vegetables and help make recipes with their organic plants. Peter Rabbit: Plant a herb garden is inspired by this favorite story by growing some of the herbs mentioned in the book such as: mint, rosemary, sage, hyssop, chamomile, tansy, lavender, and lemon balm. Pizza Garden: Plant culinary herbs necessary for the children’s favorite Italian dishes such as: basil, oregano, parsley, garlic, and fennel. Container Herb Garden: If you plan to raise herbs in containers, you might try these easy-to-grow plants: thymes, mints, parsley, basils, sage, marjoram, and oregano. Fragrant Herb Garden: Great smelling herbs to plant include: basils, rosemary, mints, lavender, thymes, lemon verbena, oregano, chamomile, and savory. « Should Boys Be Allowed to Play With Baby Dolls and Dress Up In Heels?